Education and training in personal safety and child protection. Information, advice and support for survivors and their families. Discover how you can support Bravehearts and protect Aussie kids. Find out more about our personal safety education programs, child protection training and risk management services. Explore our specialist counselling, advocacy and support services for those affected by child sexual assault. Learn about our latest research projects and our lobbying to protect children and have the voices of survivors heard. Buy supporter merchandise, resources and more. Just $12 educates a child about personal safety. Take an active part in raising awareness or funds for Bravehearts. Congratulations to all at Bravehearts for your ongoing work educating, empowering and protecting Australia's children and adult survivors of child sexual assault through a very effective and impressive range of programs. Please send me updates on the work of Bravehearts. 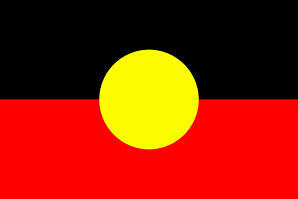 Bravehearts acknowledges the traditional custodians of the land on which we gather. We pay respects to elders past, present and emerging and express gratitude that we can all share this land today. We share the sorrow for some of the costs of that sharing, and hope and believe that we can move together to a place of equity, justice and partnership.